‘I don’t know what you mean by “glory”,’ Alice said. ‘But “glory” doesn’t mean “a nice knock-down argument”,’ Alice objected. This comical scene from Lewis Carroll’s Through the Looking Glass, finds Alice (of Wonderland fame) a little nonplussed. 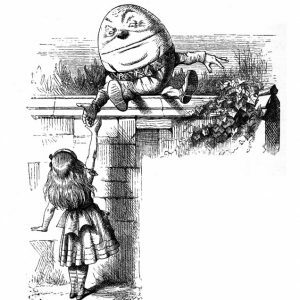 Her interlocutor, Humpty Dumpty, insists on using words with whatever meaning he chooses to give them, and so the word ‘glory’, he insists, means for him ‘a nice knockdown argument.’ Though his thinking is typical of post-modernity, it is unsurprising that the conversation doesn’t go very well! Humorous as it is, I think this scene captures a common human tendency, clearly at play in our Gospel this morning (Jn 7:1-2,10,25-30). ‘The Jews’, as John calls them, were probably only the ruling caste of Israel, and only a section of these. By this stage in John’s Gospel, they have seen or had reported that Jesus has cured the sick (Jn 4:46-5:18), multiplied loaves and fishes for five thousand (Jn 6:1-15), even walked on water (Jn 6:16-21). The authorities should have been over-joyed at these godly ‘signs and wonders’. Yet confronted with Jesus, the miracle-worker from Galilee, John reports that ‘the Jews’ were out to kill him”. They reject Jesus not because He is an outsider but, ironically, because He is too much an insider. They know Him, His village, His people. And so they say, He cannot be who He claims to be. He cannot be from heaven because they know He came from earth, from Nazareth. He cannot be God’s son, since they know his earthly parents, Mary and Joseph. He cannot be the Messiah because, the Scriptures say that when the Messiah comes no-one will know where he came from (Is 53:1-9). QED: Jesus is an imposter. So as we approach the final straight of Lent, we must ask ourselves where we fit into this Gospel story. Don’t we, often enough, fall prey to the same tendency as Jesus’ critics, making everything fit into our paradigm? Don’t we resist God surprising us, challenging us, upsetting us, as they did? We, too, need to open our eyes and ears, our minds and hearts, to our unexpected Saviour as He approaches His hour of glory – not of glory as Humpty-Dumpty means it or as we would like it, but as the Father has conferred it upon Him. Welcome to this celebration of the Eucharist and our devotions before and after Mass, as I continue my canonical visitation of the Parish of Brighton-Le-Sands. 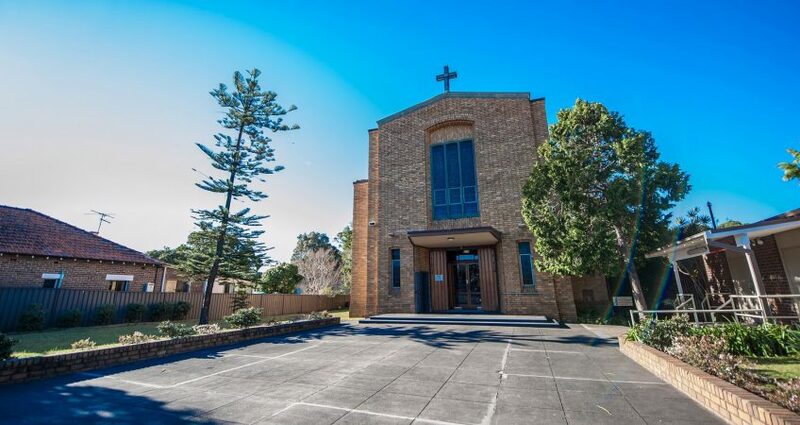 I’ve already enjoyed meeting with various leaders and faithful of the parish and the school, and look forward to meeting more and hearing of your hopes and challenges. I thank Fr Manuel Santiago PP and all the parishioners for the welcome I’ve received. And to everyone present this morning a very warm welcome!